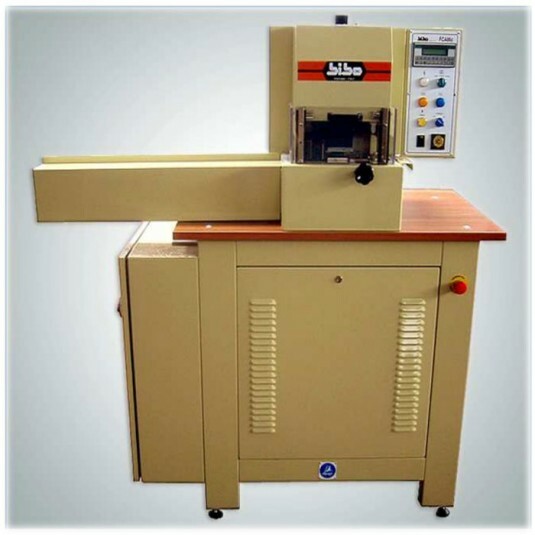 The FCA86 is a proven system for the cutting, punching, perforating, and embossing all kinds of strap goods. The hydraulic cutting head is electronically controlled through an easy-to-program microprocessor. This simple interface, with data display and keyboard, turns complex and tedious tasks into fully automated and efficient production. The customizable punching dies cut on hardened steel base with exact precision. The cutting head can also be used for embossing with or without heat in some versions. Straps of various sizes and width are positioned with self centering guides and an efficient suction and ejection system to eliminate scraps. The machine can also be programmed to stop when the required quantity of pieces has been completed for the working cycle. The operator only needs to load the material and let the machine work automatically. The FCA 86 can be combined with an automatic loader and unloader for fully automated working of pre-cut strips such as belts. Made in Italy!